This year we have been the strongest in our history. Bagging 3 awards at ASPA for Table of the year, Service project of the year and Tabler of the year was by no means a small feat. The first ever Round Table Ball was held with much success with the proceeds being allocated to our service project HEROES. It is noteworthy that CCRT4 has a four member strong representation at the RTSL NEX. 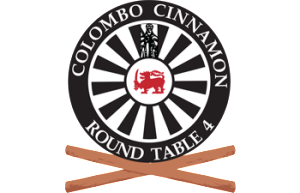 Being a charter member of the Colombo Cinnamon Round Table 4 and leading the table this year has been a journey, and a memorable one at that. From a strength of just 6 members, we are today standing at 13 strong and poised to grow further. I have seen members migrate, leave and then those who have returned after a lapse of many years to rejoin us. I’ve seen the table struggle, bond, regroup and achieve. Some new members being the catalyst for this, and others picking up from where some left off by giving the table that push needed. We as a table feel it is our time to shine. Shine not only for us but for the entire tabling fraternity in Sri Lanka. Our participation at inter table events have been nothing but spectacular. Quite a few of our members have taken part in international events including the world meeting at Visby, Sweden. With our service project shifting into high gear and we already planning to repeat another successful RT Ball for 2016 we are bound to have a roller coaster ride this year. With such exciting times and challenges ahead, my priority as Chairman is to guide and direct the table while preserving, nourishing and strengthening table unity. he history of Round Table The first Round Table was formed in Norwich, England in 1927. The founder, Louis Marchesi, was a young member of Norwich Rotary Club who felt a need existed for a club where the young business men of the town could gather on a regular basis. In speech in front of Rotarian he stated: There are things we must do, There are things we can do and there are things we should do. And he pointed out the problem of change, which can only be achieved with young people. He realised, that this kind of change needs a new form of organisation – “Round Table”. At the meetings of this “Round Table” they could exchange ideas, learn from the experiences of their colleagues and play a collective part in the civic life of Norwich. Within a year of inception the membership of this Round Table had grown to 85 and interest was being shown in establishing Round Tables elsewhere. From a very early stage it was agreed that Round Table would be a non-religious, non-political club and this has continued to this day. A second Round Table was established in Portsmouth and subsequent growth was rapid, with 125 Tables and a membership of 4,600 by the outbreak of the Second World War in 1939. Round Table proved it had international appeal with the first overseas Table formed in Copenhagen in 1936. During the war years Round Table in Denmark continued to expand although in the British Isles activity was restricted and was in the nature of a ‘holding operation’. After 1945 the pattern of growth was rapidly re-established with Tables being ‘chartered’ all over the UK. 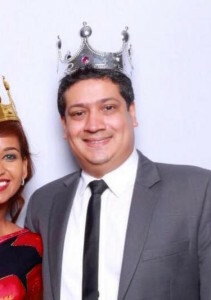 Round Table now flourishes in the majority of European countries, throughout Africa, the Middle East, India, Hong Kong, New Zealand and America. In fact Round Table is represented in every continent of the World. he Round Table organisation believes in bringing about change and excellence in ourselves and our community. Our motto is Adopt, Adapt, Improve and we bring young men between 18-40 years of age together, to challenge, inspire and learn from each other. We share ideas openly with trust, and empower each individual to make a positive impact at home, work and in his community. We call it Tabling and we do this locally where we meet regularly. We plan and organise meetings and events for ourselves and others that focus on personal development, fun & fellowship and community service. Together we form an international network of bright young men. We are Round Table. One World, One Table.